~Eternal Snow~: Japan Day 2: Harajuku. Well, actually we went to Harajuku, Shibuya, and a wee little bit of Shinjuku on this day, but I only took photos in the Harajuku area, so that's all you're going to see. 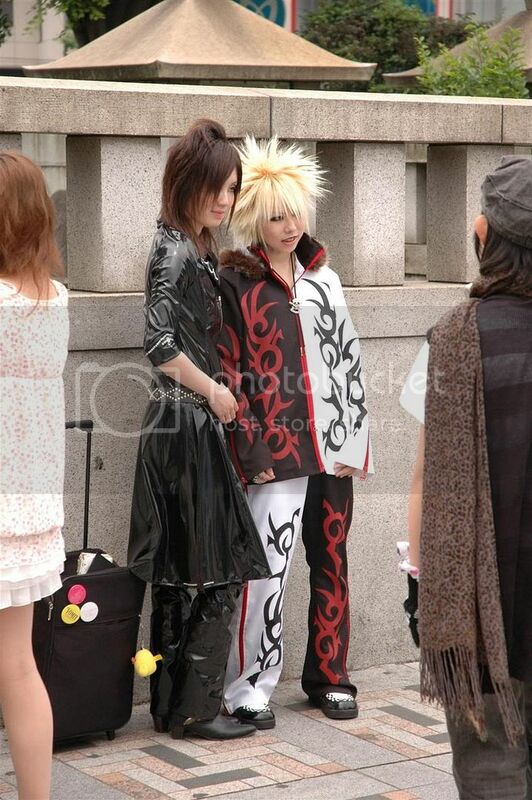 Or at least that's what I thought, but we actually did visit a Flea Market in the morning first before we headed to Harajuku. 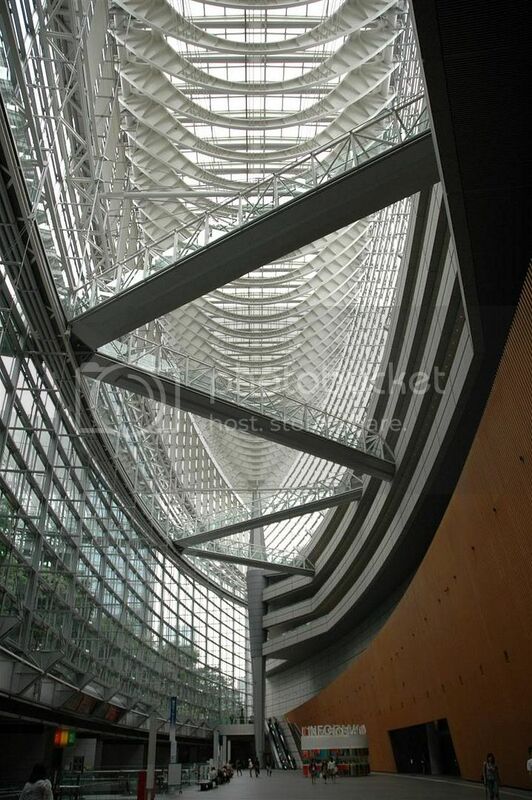 This flea market was held at the Tokyo International Forum, near Ginza. What they sold was mainly girl's stuff, clothes, accessories, handbags etc; wished I had chose to come on the Oedo Antique Market day instead the following Sunday, which I guessed would have been better for me. piece of architecture both the inside and the outside. 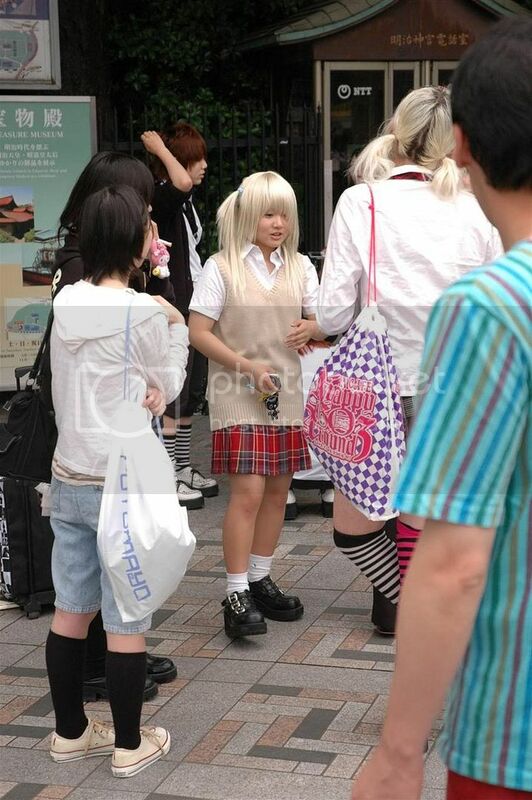 Once done with the flea market, we headed straight to Harajuku, and entered the Meiji Shrine. 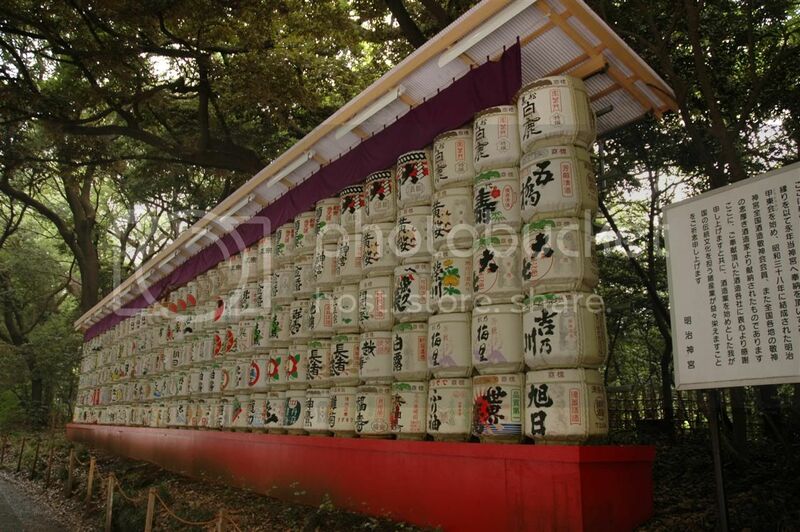 I wonder if anybody has gotten tempted to just take one of this barrel and try to make a run for it, after all it contains sake ^^. One of my friend whom I met during this trip was telling me why I was so lucky to had witness a wedding at the shrine, since he didn't see any on his trip there. 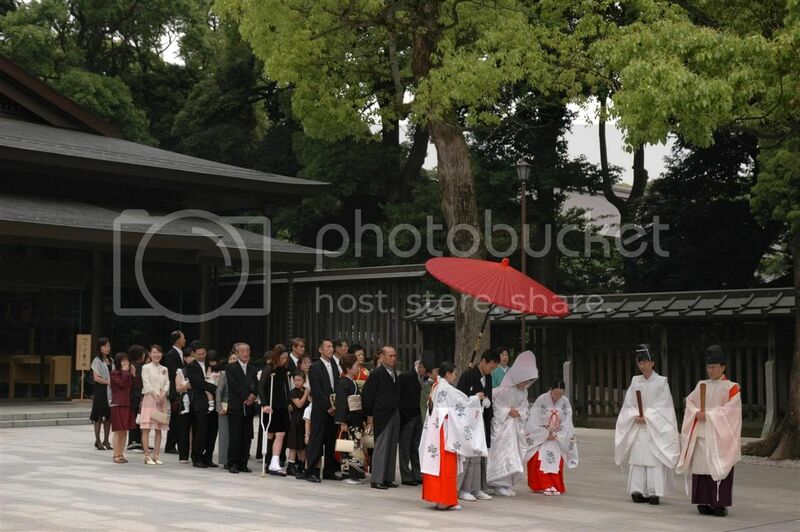 I assume that he visited on a weekday though, since I had seen weddings on both the occasions I visited the shrine, and both times were on Sundays. I received a request from Cal to add a "Prayer for Studies" to my own Ema (the wishing plaques), since he's in the midst of exams. 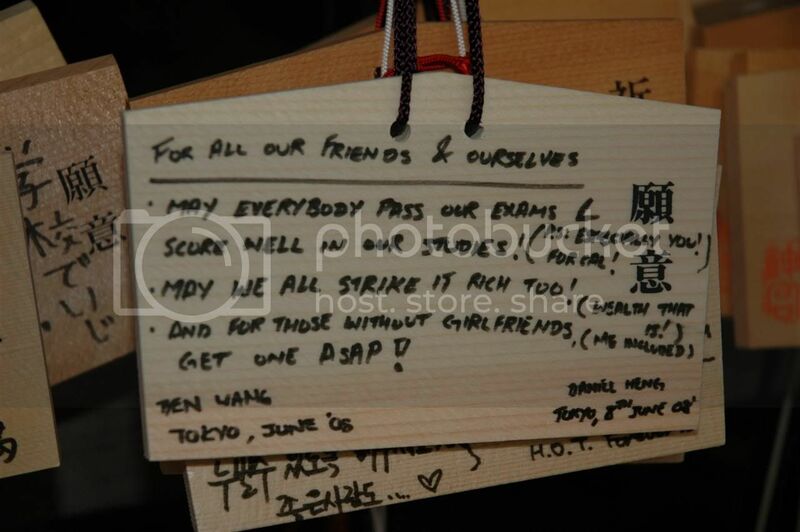 But instead of just adding a small column, me and Ben (my traveling mate) decided to dedicate a single plaque, wishing all our friends (and ourselves too) on our studies, wealth and love-life. As for my own personal ema, that will be shown in the next post (you'll understand why soon ^^). 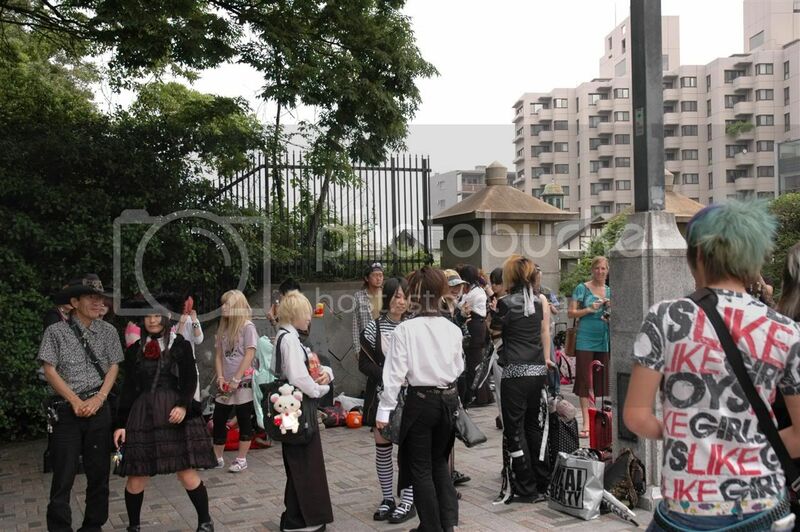 Leaving the shrine area, it seems that the Sunday Harajuku crowd has arrived and made their presence known to all. 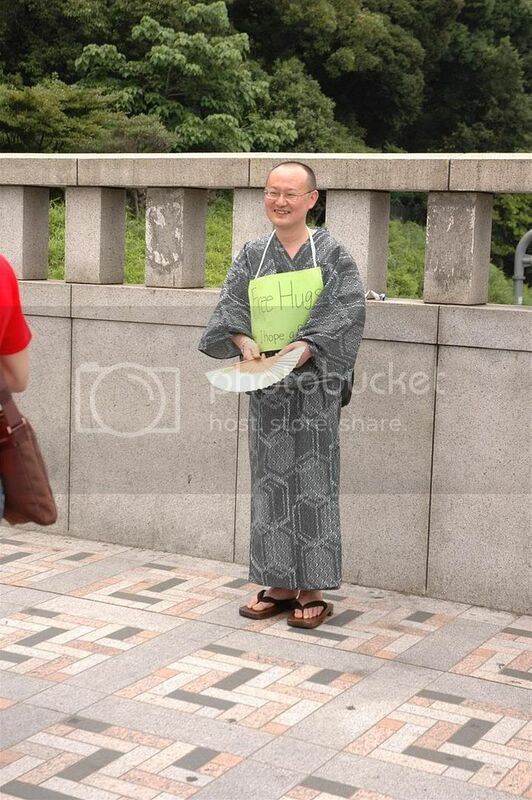 And a middle-age man giving free hugs. Nope I didn't give him any though. (If only it was a cute girl...) But he still managed to give some hugs here and there to others. 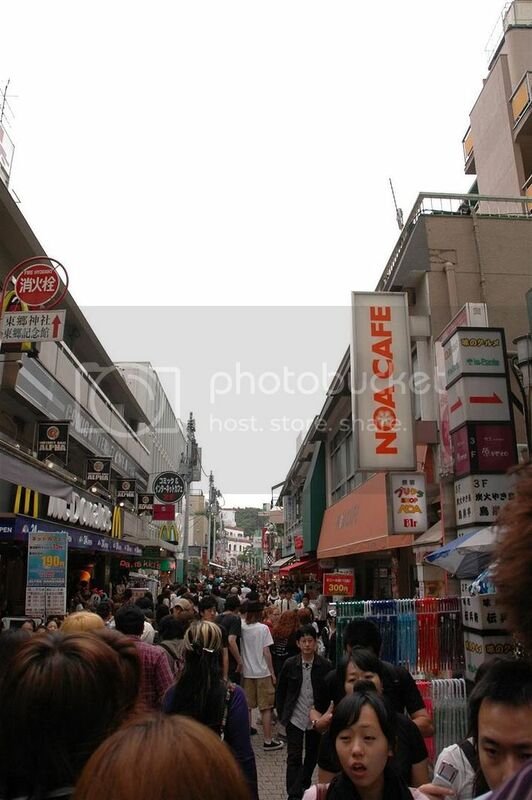 The street right outside the side entrance to Harajuku JR Station, Takeshita Street, was really packed with humans. I still remembered on my previous trip I came to this street it was like a ghost town, but that was at 8am in the morning though LOL. 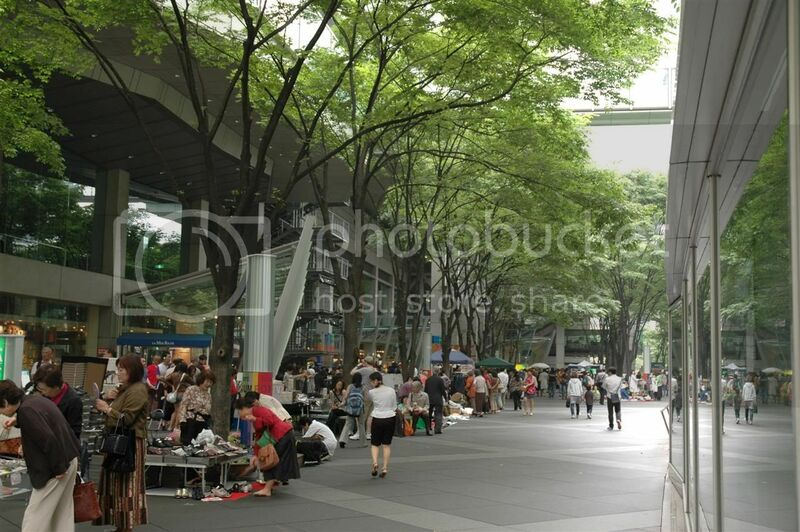 Don't ask why so early -.-"
That's about it for the photos for Day 2. As you can see there isn't much I took, since I had been here before and was too lazy to whip out my DSLR to take photo after photo. That's the problem with bringing friends to the "usual" attractions after you had gone once before, it just doesn't have the same charm it had when you first visited. Anyway, the next post would be something everyone who's reading my blog (for the right reasons) would enjoy for sure. Here's just a teaser shot. Stay tuned for it! It's surely going to be photo intensive, with all the individual ema boards ^^. Signing out. 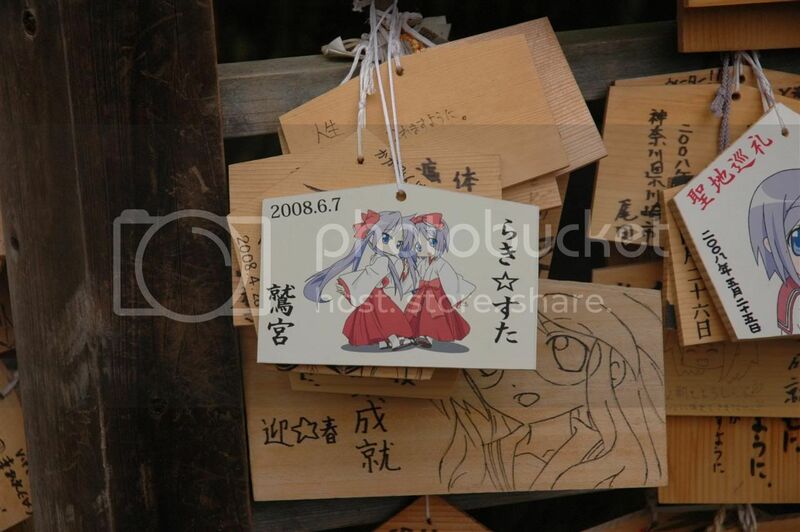 The shrine making a lot of money cos of this anime, heard it from other website, etc canned dogs. 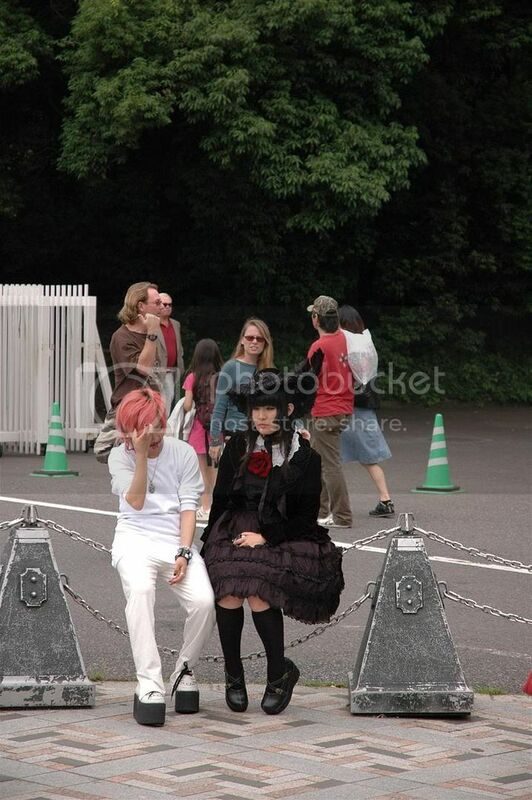 If I'm not wrong, those punk guys are cosplaying Uruha (left) and Ruki (right) from the VK band, the GazettE.